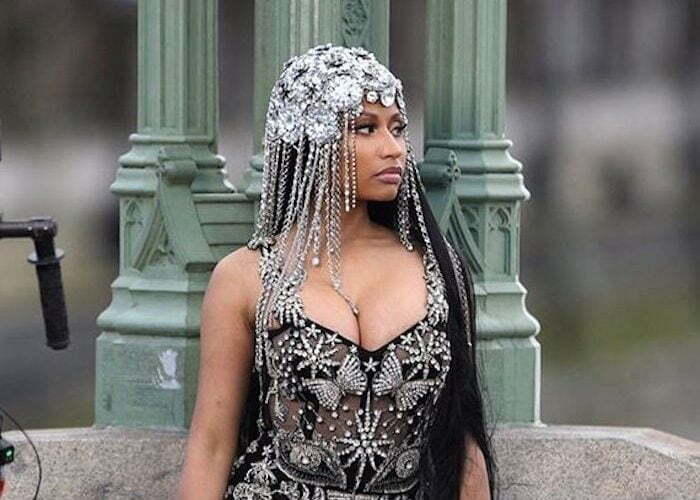 Nicki Minaj reached a landmark 76 Billboard Hot 100 hit this week surpassing Aretha Franklin for the most Hot 100 entries among women. The Young Money rap diva released three new singles just over a week ago and all three of them debut on the chart this week. Her single “No Frauds” featuring Lil Wayne and Drake debut at No. 14 this week, while “Regret In Your Tears” debut at No. 61, and “Change It” came in at No. 71. These three singles gave her a bump from 73 to 76 overall Hot 100 hits. She was tied with music legend Aretha Franklin before today. She held that record for four decades. Aretha Franklin still holds the record for the most Billboard Hot 100 singles as a lead artist, while Nicki Minaj is currently at 32. This means that her other 44 entries she came in as a guest feature on those records.